After more than a year in research and development, we are proud to be a design consultant of this all-in-one sleep solution. 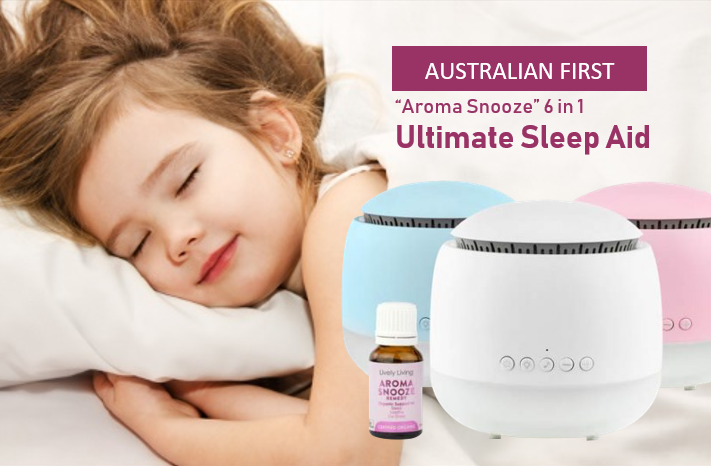 The Aroma Snooze is unlike anything else on the Australian market, and suitable for all ages. - The ONLY compact, cool mist range in Australia with built in ioniser. Negative ions eliminate allergens, bacteria and pollen from the air, purify the blood, balance the autonomic nervous system, promoting deep sleep and healthy digestion. Cheaper diffusers do NOT have the ioniser feature. - Eco-friendly, ultrasonic technologies and made from BPA-free materials. - Quick set up in 1 minute. Fills with 300ml of tap water. Add a few drops of Aroma Snooze essential oils. Please consult your health care professional for advice on appropriate use and dosage of essential oils. - Long running: 18 hours on intermittent mist, up to 10 hours on constant mist - perfect for families. - A healthy and natural approach to healthcare, and may relieve cold, flu, congestion, asthma, respiratory and allergy symptoms. - Set to red light function, it promotes melatonin production, for deep restful sleep. 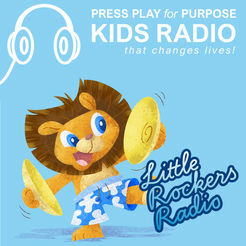 - Unique sound therapy settings, with in built voice recorder for parents to record a message or shushing sound to calm their little ones to sleep and will play all night. - Sweet Orange - Children love the sweet clean scent of sweet orange. With a high content of antioxidants, it can be used to assist sleep and alleviate tummy upsets, serve as a detoxifier and boosts immunity. - Lavender - calming to the mind and may relieve nervous tension, anxiety and promote a restful nights sleep. Lavender has antibacterial and antiviral qualities that make it perfect for defending the body. - Geranium - calming and uplifting and assists recovering from feelings of anxiety, stress and fatigue. - Palmarosa - may ease stress, anxiety, and nervous exhaustion. - Sandalwood - improves calmness and clears the mind. It is comforting and supports sleep. Ultrasonic Vaporiser/Diffuser: Keeps essential oils in their 100% purest form and is easily absorbed through the skin and breath, and inhaled intoS the limbic system. The 'cool mist' technology produces no heat and no condensation and uses minimal water. Night Lamp: The original Aroma Snooze ultrasonic vaporiser has multiple light functions. It has a red light rotation function for maximum melatonin production or can rotate through a rainbow of beautiful colours (or set on your favourite colour) or can be completely switched off. Sound Therapy: babies and children of all ages sleep better with soothing, consistent background noise, which plays for the duration of the sleep cycle. Choose from 5 natural sounds and songs, with a range of volume, or record a 30 second message of your own voice or "shhhh shhhh" which plays continuously on loop. Sound can be switched off completely if preferred. - The Aroma Snooze Cool Mist Vaporiser can be used with clean tap water for babies under 3 months to purify and humidify the air. - Please consult your health care professional for more advice on appropriate use and dosage of essential oils. This is not meant to alarm parents, it's just that a newborn's skin and respiratory system is so new and immature. Read our full blog article to learn more about the safe use of essential oils with babies. Will the Aroma Snooze Sleep Aid work for my child? Thanks for understanding that the Aroma Snooze Sleep Aid is not a magic overnight fix for sleep issues. But when combined with a calm, consistent routine, and age-appropriate sleep schedule, and a screen-free hour before bed time, it can produce great results. Please check out the testimonials at the bottom of this page. We understand all children need love, connection and nurturing. All children have unique personalities and temperaments. Families have different parenting styles and sleep preferences. But ultimately, little ones who have age-appropriate, consistent sleep cycles are happier, healthier and smarter. Good sleep also gives parents the energy and fortitude they need to embrace the joys and challenges of the parenting journey. 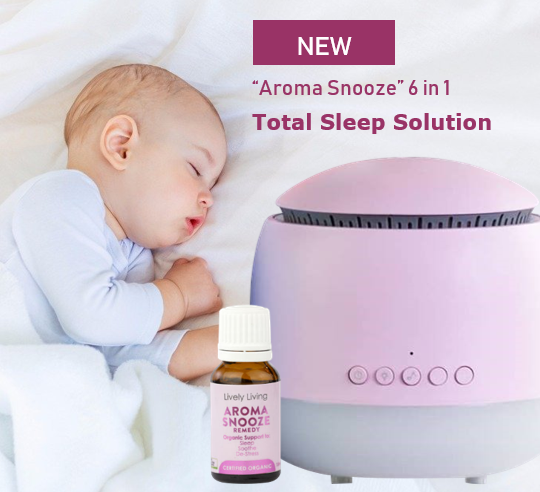 If your current sleep (or lack of sleep) situation is causing stress, and you are ready to make consistent calm changes to implement age-appropriate sleep guidelines, then using an Aroma Snooze Sleep Aid will be an excellent addition to your plan. You may start to see changes within days. It's totally normal for there to be a slightly disrupted sleep, or sleep regression on the 1st or 2nd night. The Aroma Snooze is a completely new gadget for your child, and they will be excited and curious. Don't lose heart if this happens. Please use the Aroma Snooze for the duration of every day nap and night sleep for at least a week. Our support team are here to help, so if you haven't seen a positive change after 8 days, please email our support hub for more guidance on sleep routines. Can I use the Aroma Snooze from birth? Yes, all the features of the machine are recommended from birth EXCEPT the essential oil. Please diffuse only plain tap water until around 3 months. 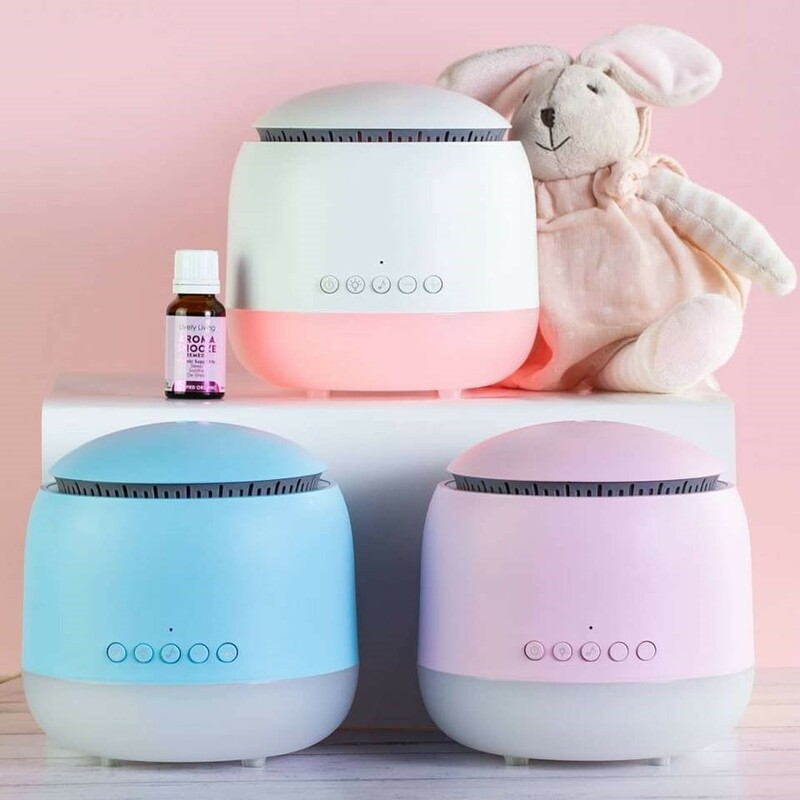 This is not meant to alarm parents, as the essential oil is 100% pure and organic and safe, however a newborn's skin and respiratory system is so new, we may not be aware of any sensitivities or allergic reactions. From 3 months, please add 2-5 drops of the Snooze Essential Oil. Newborns have a shorter sleep/wake cycle than older babies, so the Aroma Snooze will not get your newborn "sleeping through", as newborns are not physiologically capable of long blocks of 10+ hours sleep. 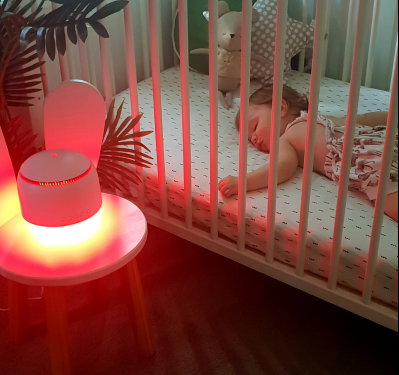 However, using the Aroma Snooze from birth will establish a calming, purified sleep environment with familiar lights and sounds, so it is recommended to start early. When sleep regressions or teething stresses occur at 2, 4, 6 and 12 month stages, you will have already established settling techniques using the mist, light and sound, which will help your growing baby transition through growth patterns and sleep disruptions. 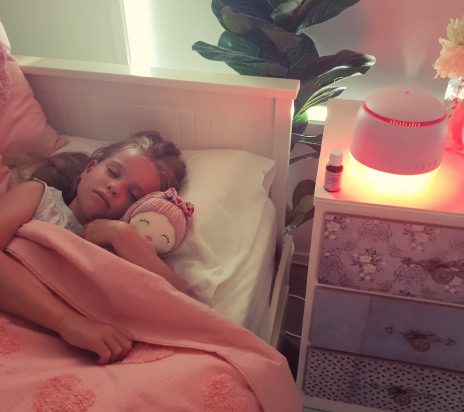 Yes, these intelligent, energy-efficient ultrasonic diffusers do not use any form of heat, candle or naked flame, so it is safe around children, the elderly and some pets. The oil diffuser will automatically switch off once the water level reaches a low level (up to 18 hours). We encourage your child to sleep with the diffuser on for better sleep and relief from cold and flu symptoms, dry skin, eczema and more. What are the benefits of the Aroma Snooze Ultrasonic Diffusers over conventional oil burners or vaporisers? The Aroma Snooze does not use any form of heat to diffuse the water mist/oil into the atmosphere. By heating essential oils you can severely alter the molecular structure and thus destroy the aromatic and therapeutic benefits of the essential oil. The Aroma Snooze Vaporiser is quiet, but not silent. In operating mode, there is a very faint trickling water sound. There is a whirring hum of the motor, as the unit operates. The built in Sound Therapy ensures any operational noise is gently masked, for the ultimate good night's sleep. How is the Aroma Snooze different to the Aroma Bloom or other Aroma Vaporisers on our Website? The ultrasonic mist production is generally the same, however the Aroma Snooze uses 300ml of water, the Aroma Bloom uses 200ml, Aroma Dream uses 400ml of water. The Snooze mist product can be set to intermittent or constant, like the Aroma Bloom and will run all night. The Aroma Snooze has a number of light settings - a red rotation, a rainbow rotation, or switched off. The Aroma Bloom with coloured lid only reflects the lid colour. The Aroma Bloom Wood Vaporiser has warm, cool and rainbow lights. The Aroma Dream has rainbow light options. The sound features are the most unique aspect of the Aroma Snooze. No other vaporiser has inbuilt sound therapy. It offers a choice of 5 nature sounds/songs. 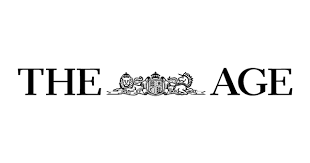 The voice recorder is an Australian first, which allows parents to record their own voice, song or "shhh, shh" to calm and soothe their little one. A delight for FIFO parents who may be away for weeks on end. Your little one can sleep listening to your voice on a 30 second playback. They can also enhance natural balance and compliment many areas of daily life. The end result is a concentrate combination of essential oils that smell divine and may work wonders. Our Aroma Snooze Essential Oil is included in the pack, with a unique combination of oils to promote deep restful sleep for all ages. What is the difference between cheap Oil Essence/Fragrant Oil available for $2 from discount stores and your Organic 100% Essential Oil? Oil Essence/Fragrant Oil is available in discount stores for a few dollars - it is predominantly a chemical blend of synthetic essence, which smells like the plant, and is mixed with a lot of carrier oil. Whilst the smell of these oils might last longer, there is little health benefit in diffusing/breathing this chemical mixture. Why should I buy from snottynoses.com.au? Lots of reasons! 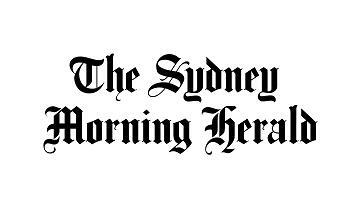 We are a Mum-run small business in Brisbane, with young children of our own. We know what works, and we offer exceptional customer service, with our sleep support hotline. We have 1000s of testimonials on our website, and 1000s of loyal customers every year. 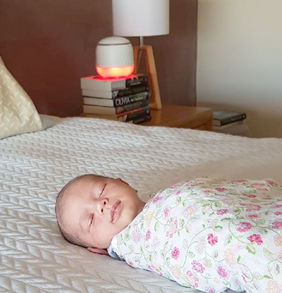 We are proud to be design consultants in the research and development of the Aroma Snooze, as we know it offers a great sleep solution to customers of all ages. 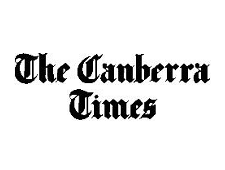 We wrap your parcels with love, and dispatch them quickly from our Brisbane office. We offer a great rewards program, monthly competitions and an exclusive 30 day "Satisfaction Guarantee" on all our cool mist vaporisers, so you can shop with confidence. When you shop with a small business, an actual person does a happy dance! Availability: PRE-ORDER OPEN: Standard delivery $7.50 Express Post $14.50. Free delivery for orders over $150. Free local pick up from Brisbane.